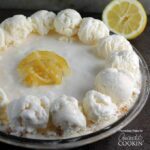 Frozen Lemonade Pie is nearly no bake (it can be if you take a shortcut with store bought crust!) and perfect for hot summer days. 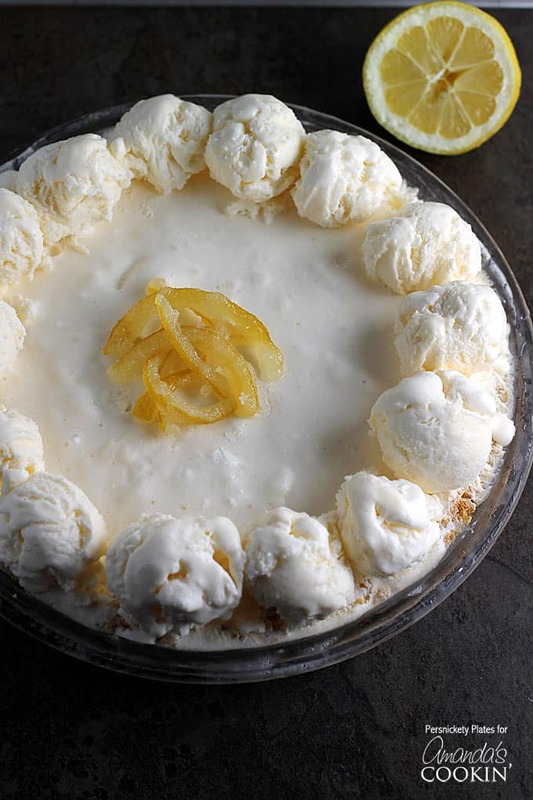 The tart lemonade flavor is balanced by the sweet graham cracker crust and creamy ice cream base. I’m typing this while sitting in the rocking chair in my daughter’s room waiting for her to fall asleep. She’s two and suddenly, a terrible sleeper. I swear I got more sleep when she was a newborn than I have the past few weeks. I used to do most of my cooking/baking/blog tasks in the evening after she went to sleep but that’s a thing of the past. 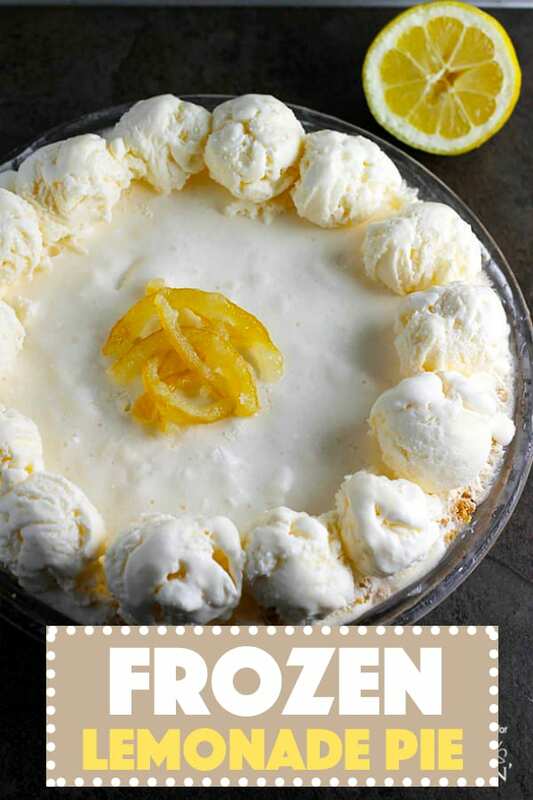 Luckily, this frozen lemonade pie is good, especially if you’re a lemonade lover, and really easy. Even if you’re sleep deprived. A few tips to making this pie a success – Use a good ice cream. I like to use Breyer’s – the one with ingredients you can pronounce. I used Lite Cool Whip, but regular will work just fine. 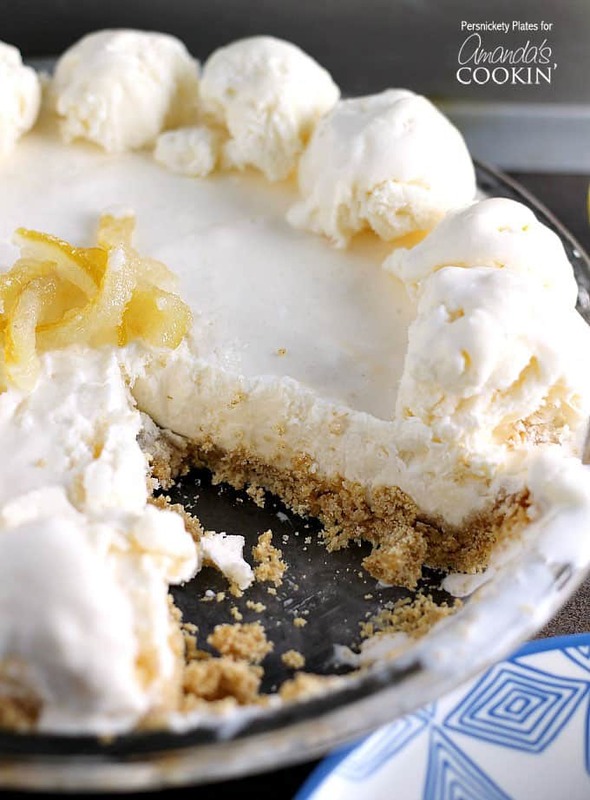 I love a homemade graham cracker crust and they take just minutes to make so I think it’s worth the tiny bit of effort but if you’re in a time crunch (or just don’t feel like turning on the oven), you can totally use a pre-made crust. This recipe for frosty orange dream squares is easy to make and perfect for cooling off in the summer heat. 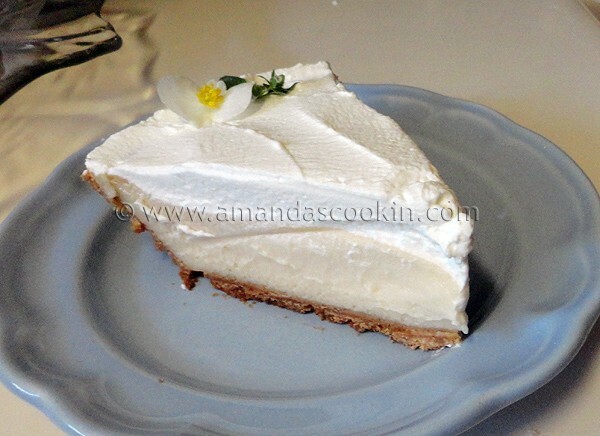 If you’re a lemonade fan, try this lemonade cheesecake recipe. 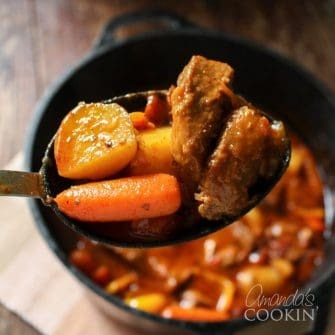 It’s tangy and delicious! 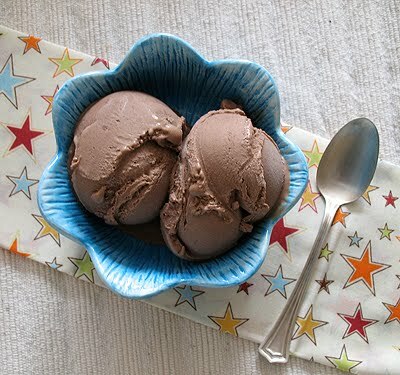 This homemade Mexican chocolate ice cream is one of my favorite ice cream recipes of all time. 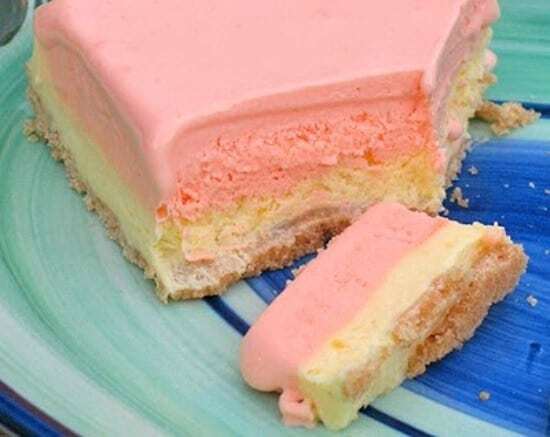 It’s so delicious and creamy! Break up your graham crackers and put into the food processor. Pulse until you have fine crumbs. Pour in the melted butter, sugar, and pinch of salt. Pulse until it comes together and your mixture looks like wet sand. Pour the graham cracker mixture into a 9" pie plate and press into an even layer. I used the bottom of a measuring cup to help press it down evenly. Bake for 13-15 minutes or until golden and then remove to a cooling rack. 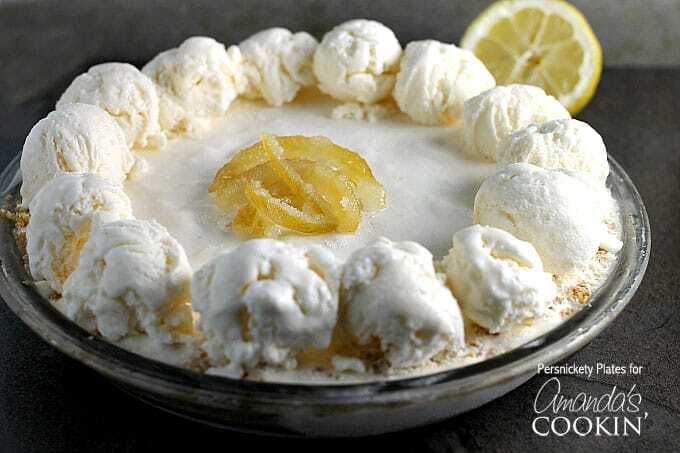 In a large bowl, pour in the ice cream, lemonade, and Cool Whip. Stir gently until it comes together. Pour into the cooled pie crust until full. There will be extra. Put in the freezer to set for at least an hour. I used the excess ice cream mixture to scoop along the edge. Top with candied lemon peels, if desired.